By MoVernie on	 January 3, 2017 What's Going On? 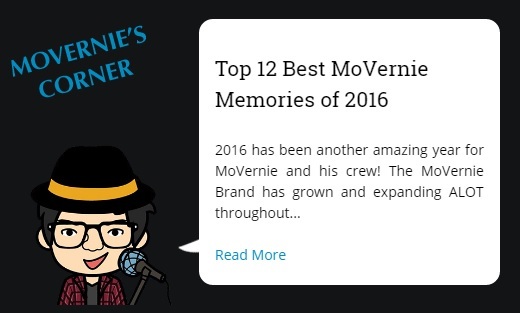 2016 has been another amazing year for MoVernie and his crew! The MoVernie Brand has grown and expanding ALOT throughout the year, working with many big brands and corporations. 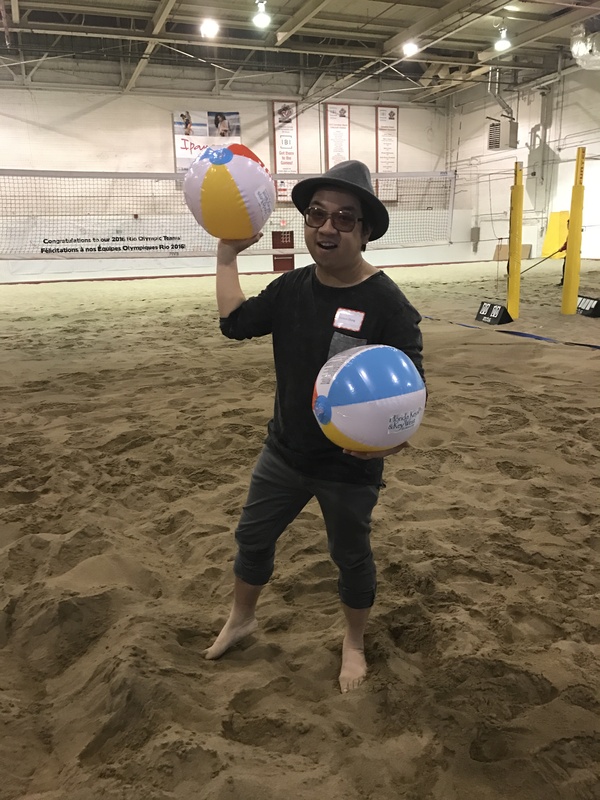 I am ALWAYS on the MOVE, continue to explore hot spots and cool events in Toronto, Canada as well as travelling to places from all over the world. All the goals that I planned during from end of last year had been achieved. In fact, the results were beyond my expectations, I would say there were a lot of unexpected positive surprises throughout the entire year, giving me an unbelievable MoVernie adventurous journey. I am thankful and grateful of what I have accomplished. Below are my Top 12 Best MoVernie Memories of 2016. In case you wonder, why Top 12 and not just Top 10 memories? Well…you see, there are 12 months in a whole year and that’s how I come up with my Top 12 and besides, there are enough good memories to make the list, haha! Thank you for your continual support throughout my journey and thank you for your loyalty. My team and I will continue to work hard in the new year of 2017 and will continue to share great content and videos with you. Happy New Year! Best wishes to you all in 2017! 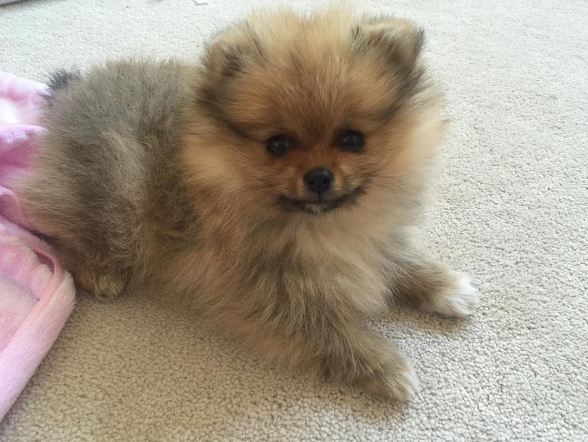 And sitting at spot #1, the MoVernie Top Memory of the year of 2016……was having Portia the Pom (aka MoDoggy) to our family. MoKenny & his gf got this adorable puppy home in 2016. Portia is so cute as a puppy and still super cute after 9 months. My dream came true as I always wanted to play with a puppy occasionally as I am ALWAYS on the MOVE that I wouldn’t have time to look after my own puppy 24/7. By having occasional time to play with Portia, my dream is fulfilled. She is bright, low maintenance and very well-behaved. I got to learn the animals behaviour and habits as well as human-animal interaction and communications. Learning & observing their feelings and facial expressions made me appreciate animals even more. The presence of Portia really bring happiness and life to the Mo-Family. Thank you Portia (@portiathepom). Making my #3 spot on my MoVernie Top Memories of 2016 was my visit to Iceland. The moment I stepped on the Iceland soil, I felt like I was on planet Mars or somewhere totally different. The island is made of interesting soil & rocks, hence you see lava rocks, moss and other geological landscape. Iceland feel so much different. Staying at the new Silica Hotel that only have 33 rooms located beside the iconic Blue Lagoon was a cool experience. In particular, the access to the private lagoon inside the Silicon Hotel was so relaxing. I will definitely go back to Iceland to explore and appreciate more on our natural environment. At spot #4 of the MoVernie Top Memories of 2016 was my visit to Portugal, Spain & the Canary Islands on my Euro Cruise with the Royal Caribbean “Independence of the Seas”. So much to see at these European destinations. 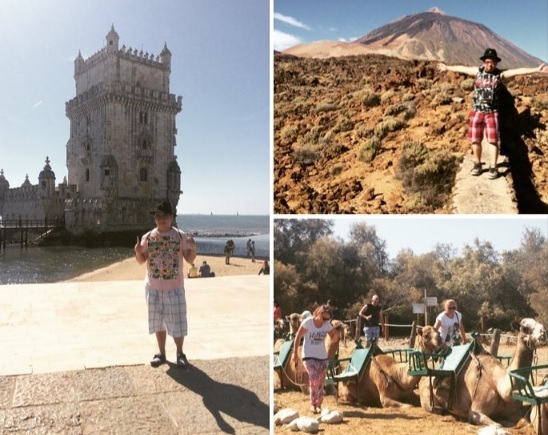 In particular, I really enjoyed Lisbon, Portugal, I will definitely go back. I enjoyed the camel ride in Los Palmas. Visiting the volcano in Tenerife. People around these areas are nice and simple people. They live a simple life and when I was there, I felt so peaceful and relax. 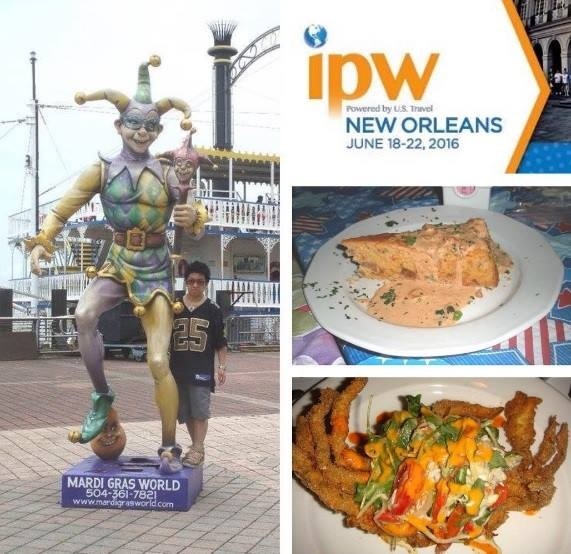 Sitting in the #5 spot of the MoVernie Top Memories of 2016 was my Press Trip to the IPW16 Travel Conference that was held in New Orleans. I got to say, before this trip, I didn’t really know what to expect as I was invited to attend this special conference, which is 1 of the biggest travel & tourism conference in North America. It was well worth it as I met many awesome cool people in the industry. And the conferences, meetings and luncheons were eye openers. And the parties and excursions? They were all memorable and unforgettable experiences. This was my 2nd time visiting New Orleans. The 1st time I went was a vacation trip. Even going back the 2nd time, there were still lots of cool places to visit and awesome food to indulge in. The 2017 NBA All-Star Game is going to be held in New Orleans, make sure you go to my BLOG at MoVernie.com to check out all the good spots for food and parties in NOLA. 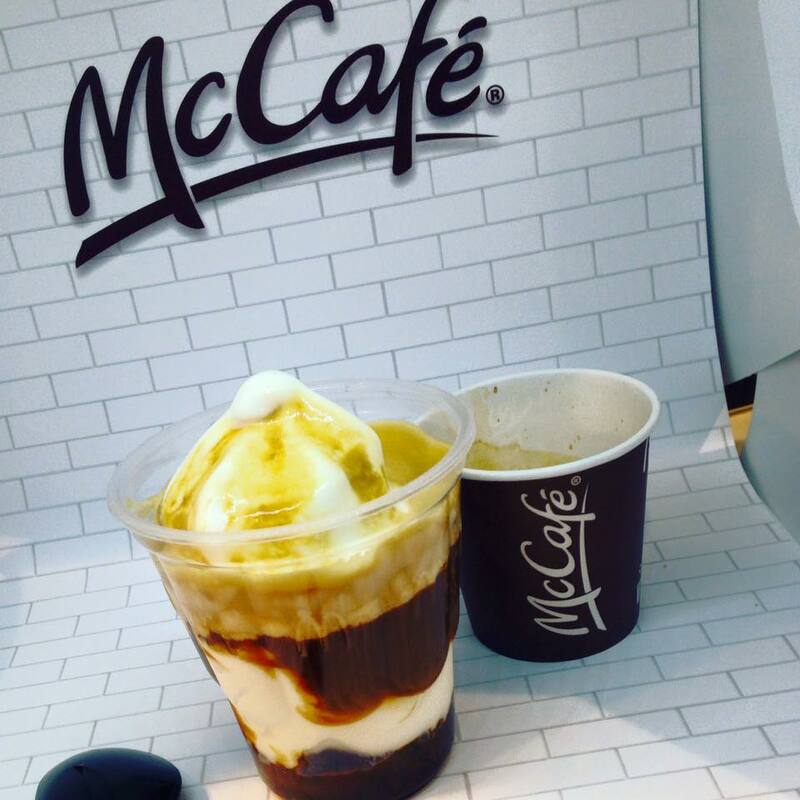 Rolling in the 6ix at the #6 spot for the MoVernie Top Memories of 2016 is having a long-term partnership with McDonald’s Canada. I partnered with many companies and cool brands in the past and presently, but partnering with a global big corporation is a dream come true. I love McDonald’s wholeheartedly since childhood & still luv’in it as we speak. They always have creative initiatives and also give me good surprises! They are fun to work with and definitely open doors for my MoVernie brand with other opportunities and elevate my brand to the next level globally! I am super grateful and thankful of the opportunities. Thank you! Sitting at spot #7 of MoVernie Top Memories of 2016 was my Press Trip to Myrtle Beach, South Carolina. Lots of fun attractions at this destination. Nice beaches and we could catch our own oysters and shucked it at the same time. Seeing this cannon Ball jelly fish was an unexpected bonus. Chilling at spot #8 was a memorable experience when I attended a Super Exclusive VIP Gala called “Giants of Africa”. It was held during the 2016 NBA All-Star Game. It’s a documentary based on developing proper basketball training on kids from Africa, this initiative was developed by Raptors GM Masai Urijri. To show support, Raptors players such as DeMar DeRozan, Kyle Lowry. 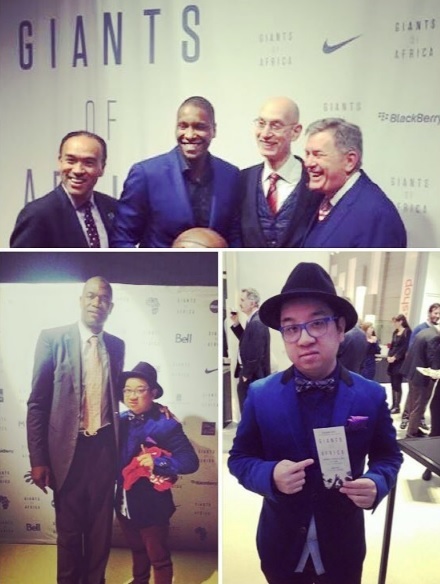 Dikembe Mutombo, Bismack Biyombo, NBA Commissioner Adam Silver were on hand. I recalled before the film began, we went and grabbed a glass of wine & popcorn. Walked into the theatre room, everyone was seated. Lowry & DeRozan recognized me & nodded their heads. I nodded back. Since most seats were packed, we sat in the front row. After the film, I realized all the MLSE owners, executives, past & present GMs and Presidents were sitting a few seats beside me. This was a star-studded event that not everyone got to go, every name had to be reviewed. So, I was grateful and honoured to attend to this prestige event. Settling in nicely at spot #9 was my Press Trip with Quebec Tourism to Mont Tremblant. We all know how fun this destination is during the winter with skiing and snowboarding. But I never knew summer is also awesome in Mont Tremblant. 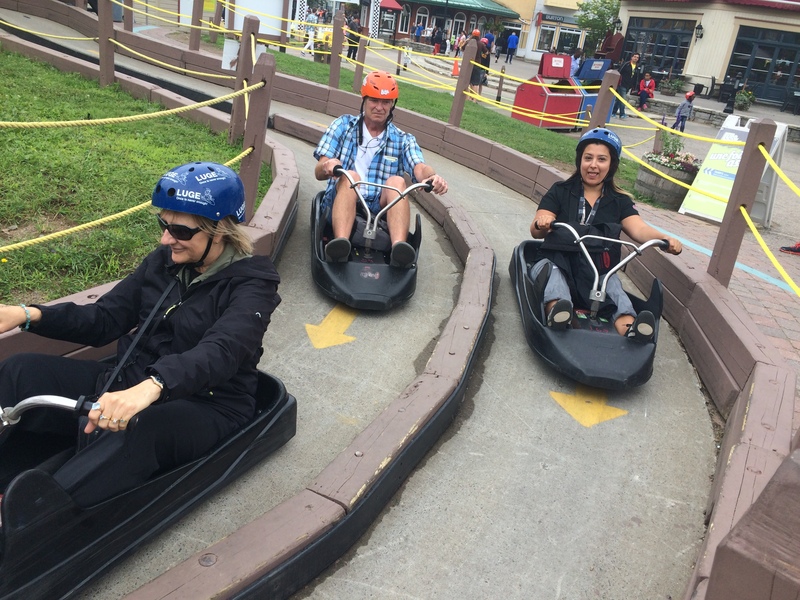 We tried the luge coming down the mountain, it was super fun! The Blues Festival was amazing as well! I never knew there is a casino but now I know. It’s super cool to ride the cable car to the casino for dinner and fun! 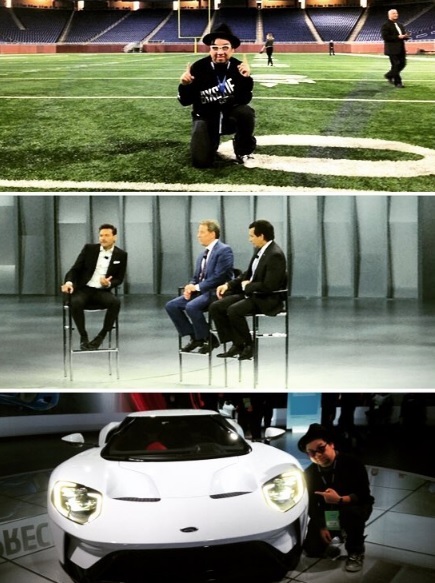 Making the #10 spot on the MoVernie Top Memories of 2016 was my Press Trip to the North American International Auto Show with Ford Canada. It was a back 2 back appearances as I was told going back 2 back is very unusual. I got to visit the Ford Field, home of the Detroit Lions and I got to go on the field and kicked field goals. I also got to see Ryan Seacrest talking with Ford CEO, Mark Fields on the future trends of Ford products and the automotive industry. Posing with the Ford Supercar GT was a treat as well. 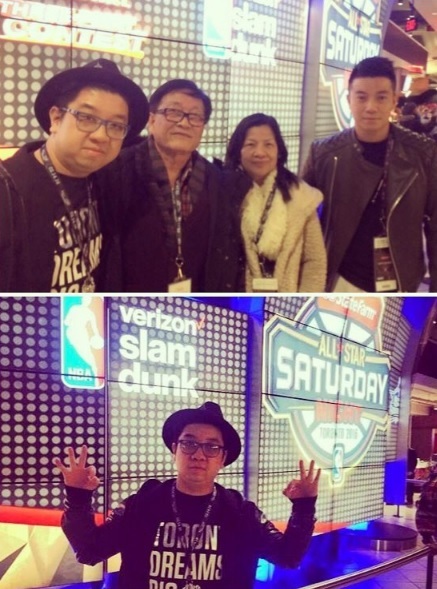 Sitting at the #11 spot for MoVernie Top Memories of 2016 is my whole family went to the 2016 NBA All-Star Slam Dunk Contest in Toronto. This is significant coz this is the 1st time the NBA All-Star game was held outside of USA & a historic first in Toronto. Tix demand was high, yet supply was low. With a few networking pull, I secured 4 tix so MoKenny & I could treat our parents to this game. And to top it off? This was by far one of the best slam dunk contests in many years with Orlando Magic Aaron Gordon went neck & neck with the slam dunk champion Minnesota Timberwolves Zach LaVine. It was super entertaining. Every year, I like to reflect on all of my memories & experiences over the year. Then I pick my MoVernie Top 12 Memories of 2016. At #12, I am grateful that I partnered with Pure + Simple. Pure + Simple is a Spa, Facial & Massage place with a number of locations to serve its customers. They use organic products & they are made in Canada. Nowadays, it’s hard to find companies that give job opportunities to Canadians and manufacture their products in house. Getting sponsored facial, spa and massage has always been my life time bucket list. I recalled telling my friends about this idea and they said, “Well, why would they want to sponsor a straight guy on facial, spa and massage, wouldn’t it make more sense if they sponsor females or good looking models”. Anyhow, I went with the idea and Pure + Simple love it. 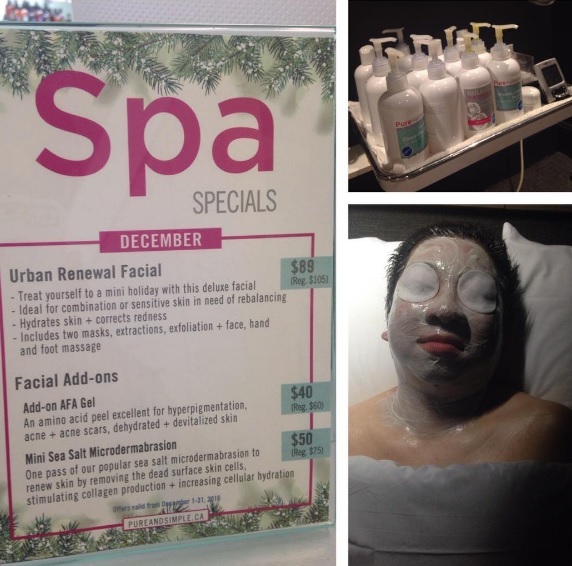 I wanted to let other men knows that getting pamper or face and skin maintenance are not just for females. Males should also take care of their face and skin, refresh and relax with the lifestyle. They shouldn’t be afraid to let other people know that they buy face cream, they get Facial or spa. I took an initiative of having my facemask pic & showed it to the public and surprisingly, it created a lot of buzz and engagement coz not many peeps would dare to showcase their face with masks & cream. I am different and I want to lead by example. Thank you to @pureandsimpleca for believing in my ideas and continue to work with me. And most importantly, fulfill my lifetime bucket list. Thank you Rick for your kind words. Go Raptors!